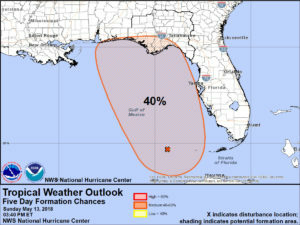 According to the National Weather Service in Tallahassee, there is a chance for a tropical system to develop in the Gulf of Mexico this week, bringing a good bit of rain to southwest Georgia. 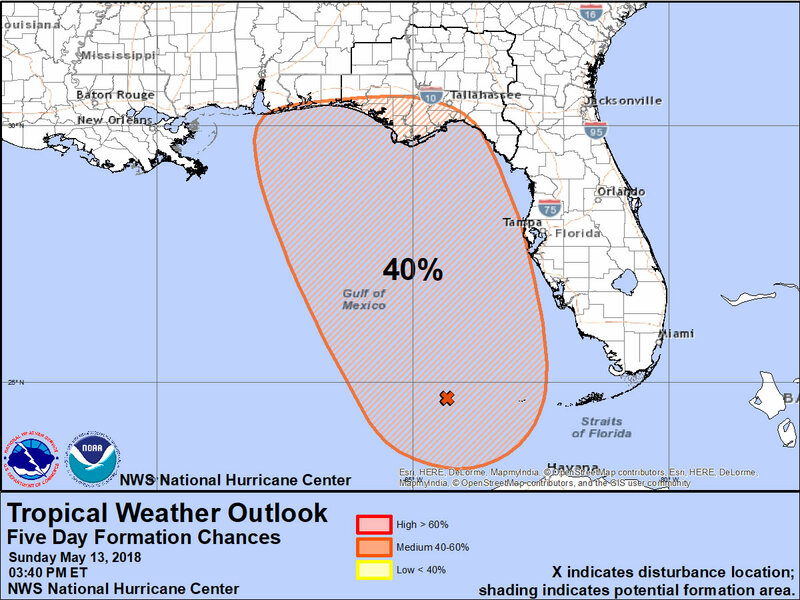 The NHC has issued a special Tropical Weather Outlook for an area of disturbed weather in the eastern Gulf of Mexico. This system has a low to moderate potential to become a subtropical or tropical system in the next few days. Specifically, a 30% chance in the next 2 days and a 40% chance in the next 5 days. Regardless of whether the system develops at all, or if it becomes subtropical or tropical, the main threat will be the potential for periods of heavy rain over the next week. Expect average rainfall amounts from 1-3″ with isolated higher amounts possible.